The Woodwork element uses an authentically researched pole laithe, shaving horse and various woodworking tools to demonstrate the production of different types of utensils etc made from wood. This is a rolling demonstration on-going throughout the day. The Forge and Metalwork element represents the manufacture of metal implements and weapons in a rolling performance throughout the performing day. 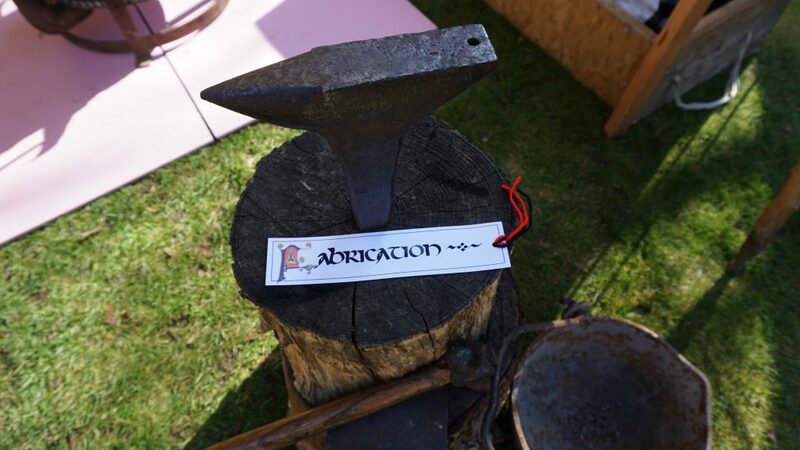 This manufacturing process demonstrates forging, smelting and casting and talks about the different practical applications that the forge would have been used for, either in the castle or on campaign as part of the commander’s battle camp.